Happy Friday, dear readers. The week’s most well-travelled public-interest news item deals with a Legal Services Corporation announcement that its grantee organizations may cut 8% of attorney and support staff positions as those organizations struggle with depleted funding sources. There’s a tendency, I think, to take some comfort in the idea that the worst of the Great Recession has passed (notwithstanding the precariousness of the present recovery). But the longer-term fiscal challenges spawned by the recession are in some ways hitting the legal services community hardest now. At best, one may hope that LSC funding can creep back into the high $300 millions, given budget-cutting propensities on Capitol Hill. IOLTA funding is dependent mostly on interest rates, which remain at historic lows as policy-makers hope that loose credit will contribute to economic stimulus. And legal services providers who had financial reserves have by and large exhausted them at this point. There is less federal money, a whole lot less IOLTA money, and the rainy-day funds are dry. Not a pretty picture. OLAF (one of my favorite legal services acronyms) releases its 2011 annual report. And here’s the news release from LSC. 8.15.12 – in Michigan, the members of the state house introduced a bill “to create the Michigan indigent defense commission and to provide for its powers and duties; to provide for constitutionally effective assistance of counsel to represent indigent defendants in criminal cases; to provide standards for the appointment of legal counsel; and to provide for certain appropriations.” Here’s some filing information and here’s a copy of the bill. 8.11.12 – in NOLA, a Times-Picayune editorial argues for more prudent budgeting by the Orleans Parish public defender’s office. Budget volatility forced large cuts in the Orleans Parish public defender’s office earlier this year. But a report commissioned by the Louisiana Public Defender Board has concluded that a lack of fiscal prudence and other management mistakes aggravated the circumstances. But management was not the only issue. Public defenders in New Orleans have a staggering case load. Attorneys assigned to Municipal Court each handled 2,500 cases last year. That’s more than six times the national standard of 400 misdemeanor cases. The editorial concludes arguing for more sustainable funding streams for the defender to avoid future volatility. Times are tough for law students everywhere, who are facing the lowest employment rates in 18 years and the rude awakening of post-graduate loan debt. Many law students are beginning to aggressively question the value of their legal education and are demanding more bang for their buck, including enhanced clinic opportunities. Fortunately, law schools are listening. Just last month, the National Law Journal reported that 76% of ABA-accredited law schools modified their course offerings to adapt to students’ needs for more practical skills. And now, two law schools – Loyola University College of Law and Elon University School of Law – have added revamped and new public interest clinics to their rosters, respectively. As reported by Nola.com, Loyola Law School recently received four grants totaling $557,000 to aid low-wage workers in its Workplace Justice Clinic, a unit of the Stuart H. Smith Law Clinic and Center for Social Justice. The grant will keep the clinic up and running for 3 more years, and will also help transform the initiative into a full-blown resource center. 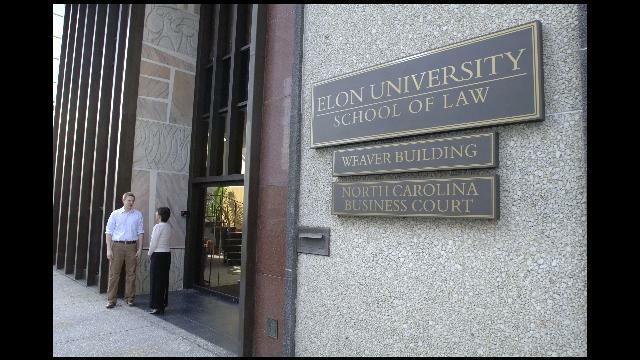 Yesterday, the Elon School of Law announced the opening of its Elder Law Clinic, which will start serving clients as early as this fall semester. The new clinic will serve low-income elders, with a focus on the civil legal issues of older adults, such as power of attorney, end of life planning, contract and consumer issues, housing, grandparent rights, Medicare and Medicaid, Social Security benefits, and Veterans benefits. These clinics will allow law students to represent low-income individuals free of charge, all under the guidance and supervision of licensed attorneys. Most clinics come equipped with additional experiential learning experiences, including a classroom component. In addition to allowing students to receive the practical skills they need to compete in a weak job market, poverty-stricken populations will get the much-needed services they desperately need. It’s a win all around! Kudos to Loyola Law and Elon Law! Do you know a law student who’s a public interest/pro bono rock star? NALP and PSLawNet are seeking nominations for the 2012 PSLawNet Pro Bono Publico Award. Download the Nomination Form Here! Purpose: To recognize the significant contributions that law students make to underserved populations, the public interest community, and legal education by performing pro bono or public service work. Eligibility: The Pro Bono Publico Award is available to any second- or third-year law student at a PSLawNet Subscriber School. The recipient will be honored during an Award Luncheon at NALP’s Public Service Mini-Conference on Thursday, October 25, 2012 at the Washington, DC office of Crowell & Moring, LLP. The award recipient will receive transportation to Washington, a one-night stay in an area hotel, a commemorative plaque, and a small monetary award. Award Criteria: Law studentsare judged by the extracurricular commitment they have made to law-related public service projects or organizations; the quality of work they performed; and the impact of their work on the community, their fellow students, and the school. Though a student’s involvement in law school-based public interest organizing and fundraising is relevant; actual pro bono and public interest legal work will be the primary consideration. Nomination Deadline & Packet Contents: Nominations must be received by Friday, September 7, 2012 at 5pm Eastern Time, by fax, mail, or email (see contact information at bottom). Along with the nomination form and a résumé, nomination packets may include any materials which support a nominee’s candidacy; such as letters of recommendation, statements detailing a nominee’s work, and media articles. Recent innovations in legal education highlight a move toward experience-based learning. Mick Jagger is 69 years old and I don’t know what to make of that. Happy weekend. 7.23.12 – from a press release, details about the Legal Services Corporation board meeting which is taking place in Michigan on the 27th. 7.20.12 – from the “PhilanTopic” blog, a concise overview of the different pro bono models which nonprofits and law firms or corporations use to collaborate. 7.17.12 – the National Jurist looks at innovations in legal education: “Law schools are pushing the boundaries of the traditional law school model and experimenting at a level that legal education has not seen for several years, a new story reveals. The National Jurist invited every law school in the U.S. to submit a nomination for how it is innovating its curriculum. More than 40 schools responded, showing that schools are experimenting with boot camps, mentoring programs, technology and programs that mirror the medical school model.” The magazine’s next issue, due out in late August, will highlight some schools’ novel approaches to training tomorrow’s lawyers. Music! Yesterday marked the 69th birthday of Mick Jagger, a rock & roll legend who is nonetheless rightly criticized for wearing tights way past his time (if ever a time there is). Here’s one of the Rolling Stones’ best. The importance of introducing yourself. All of the attorneys present at the event focused not necessarily on the importance of “networking,” but the need to just introduce oneself to a new person when in an unfamiliar situation. Once the initial introductions are over, the scary idea of “networking” may be easier. Being proactive with introductions can also make the first hurdle of “making a good first impression” easier. In room full of unfamiliar people, anyone will appreciate the first one who steps up and says their name! Fellowships and clerkships. In the panel that I attended, 4 out of the five attorneys speaking had completed a fellowship or clerkship immediately after law school–and all of them had only positive things to say about the experience. Working for the “right side.” The attorneys in the panel addressed how at different points in their career they have had to work on projects or with organizations that conflicted with their views or “the public interest.” Because of the diverse backgrounds of the panelists, however, the point was clear that whether one can still be a “public interest attorney” at a law firm, at a nonprofit, or in a government agency.